On 24 February 2018, the World Head of the Ahmadiyya Muslim Community, the Fifth Khalifa(Caliph), His Holiness, Hazrat Mirza Masroor Ahmad, addressed the concluding session of the UK National Waqfat-e-Nau Ijtema, an annual event held for female members of the Ahmadiyya Muslim Community in the UK who have pledged their lives for the peaceful service of Islam. The event took place at the Baitul Futuh Mosque in London and was attended by more than 1600 women and girls, including over 1,200 members of the Waqf-e-Nau scheme above the age of 7. During an inspirational address, His Holiness spoke of the very high status of women according to Islamic teachings and described them as ‘nation builders’. 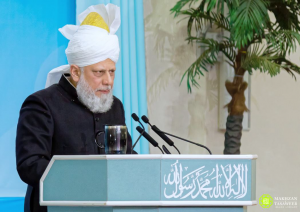 His Holiness said that growing up in the Western world, Ahmadi Muslims should remember that the teachings of Islam were timeless and universal. His Holiness noted that those nations considered to be extremely modern and developed are seen to be championing the rights of women, yet the fact that they failed to provide women with any rights whatsoever until modern times is often overlooked. 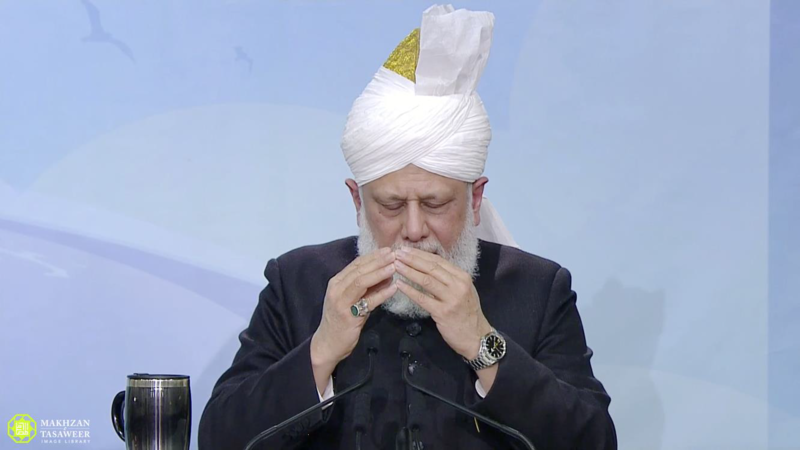 Elaborating upon the high status of women in Islam, His Holiness explained that historically some other religions had made false and disparaging claims regarding women, such as the assertion that women did not possess a soul, were born sinners, or even that they were the root of evil. His Holiness quoted many examples of the rights that Islam granted to women more than 1400 years ago, such as the right to education and the right to inheritance. Whilst it was often claimed that Islam denied women their rights, His Holiness stated that those who made such claims had only afforded women such rights in modern times. His Holiness also categorically condemned any form of forced marriage and deemed the use of any form of coercion to force consent as entirely opposed to Islam’s teachings. 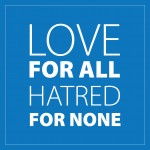 His Holiness also responded to those who criticised Islamic teachings of the segregation of men and women. His Holiness referred to the ever-widening scandal of sexual abuse or harassment of women that had inspired the #MeToo campaign. His Holiness also spoke about how authorities in Berlin were forced to erect a separate ‘safe zone’ for women at New Year’s celebrations, whilst ‘women-only’ concerts had been proposed in another European country. 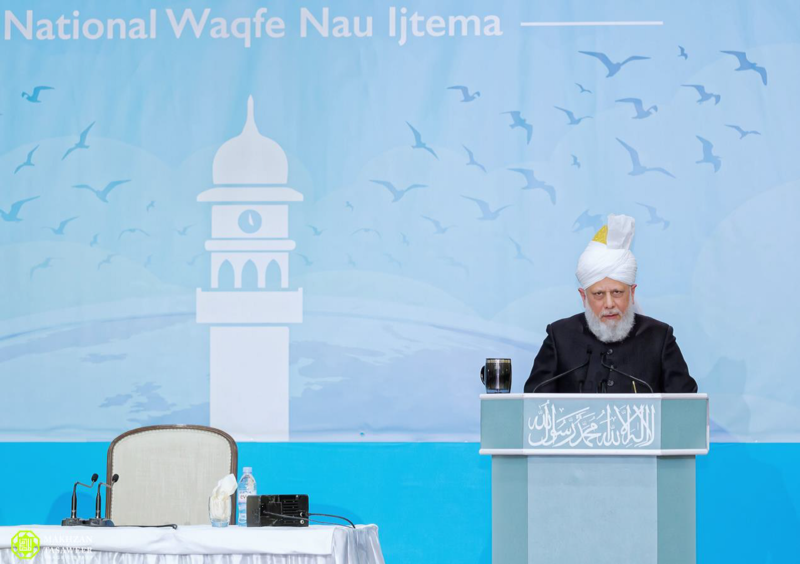 In light of all this and the fact that allegations continue to be made against the teachings of Islam, His Holiness said that Waqfate Nau should be “spearheading” the effort to explain the beauty of Islam “without any fear or complex”. Concluding his address, His Holiness emphasised the need the community faces for doctors and teachers. He called on Waqfat-e-Nau girls to train in these fields in order to help run the various humanitarian schools and hospitals the Ahmadiyya Muslim Community has established around the world. During the day a number of workshops were run for the girls to increase them in their religious and secular knowledge, including workshops by women from the Ahmadiyya Medical Association and Students Association.